Balance is a concept long recognized in many fields of endeavor and applied in practically all areas of life. 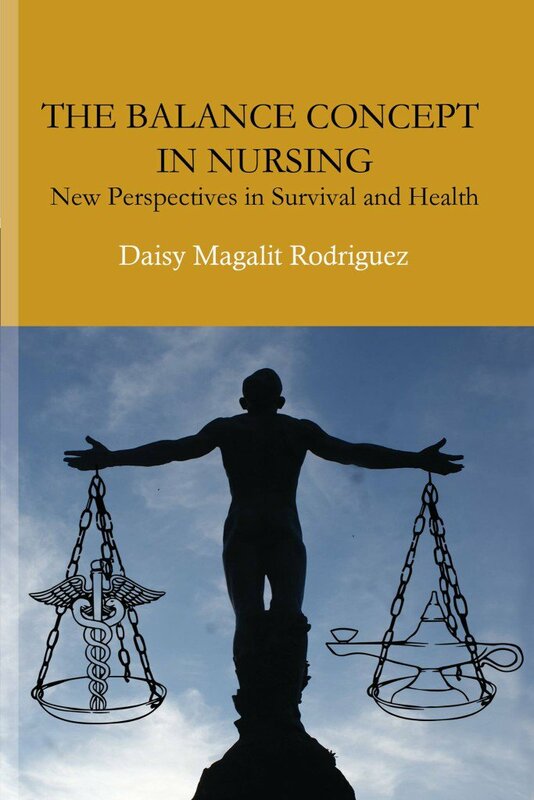 Nursing, as part of the health care profession, has its own uses for the concept of balance.This book attempts to explain the nature of balance through five universal elements that support the survival of human beings: adaptation, equilibrium, homeostasis, needs, and health. Human behavior instinctively, purposefully, and naturally defines the way we respond to forces and influences both within and outside the human body. A state of balance/imbalance emerges as these elements interact with each other.Built on a theoretical framework with underpinnings from various social, physical, and psychological sciences, this book advocates a novel health-illness continuum using the concept of balance as a multidisciplinary lens. What makes this book unique is its development of the Balance Health Nursing Model framework as basis for nursing assessment and practice. It highlights the role of culture in defining human behavior, leading to better understanding and improved multiculturally inclusive nursing care. Daisy Magalit Rodriguez practiced as a registered nurse in California where she has resided with her family after immigrating from the Philippines in 1972. She obtained a Diploma in Nursing from the University of the Philippines – Philippine General Hospital School of Nursing, and a Bachelor of Nursing and a Master in Nursing majoring in Nursing Administration from the University of the Philippines prior to moving permanently to the United States. She later obtained her second Master’s degree from the University of San Francisco majoring in Public Administration/Health Services (MPA/HSA). She worked in several acute care hospitals in the San Francisco Bay Area in various capacities from floor nurse to critical care nurse for five years, and later held nursing supervisory positions for over twenty years. She became actively involved in leadership roles in both the local chapter as president, and in the executive board of Philippine Nurses Association of America (PNAA). In 2009, she earned a distinction from the Filipina Women’s Network (FWN) as one of the “100 Most Influential Filipina Women in the US” for her involvement in community affairs. In 2011, she was named the “Educator of the Year” by the PNAA. She had a three-year stint teaching in the Philippines and the US prior to her hospital jobs. She spent the last five years of her nursing career in teaching LVN to RN Associate programs at Unitek College in Fremont, where she later become the assistant director before her retirement in 2012. Her published works include coauthorships in two research projects and two book chapters; she has also been featured in various articles in California Nurse Week and Minority Nurse Magazine. Her retirement has allowed her to spend more time reading, occasional poetry writing, traveling, and gardening.